So, I went fishing and as soon as I got to the spot the car broke. I need to know what the part is called so I can get a replacement. 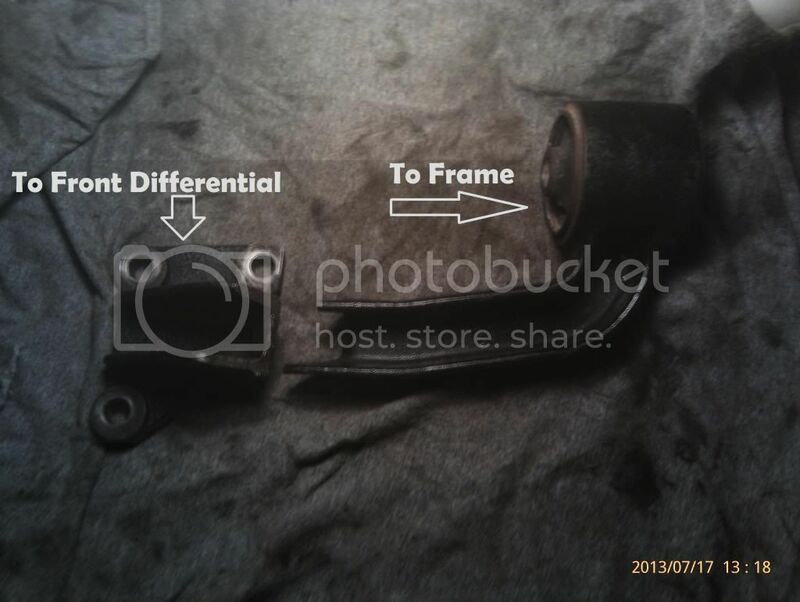 it's a support mount bracket type deal connecting the front differential to the frame. it's on the front side of the differential and slightly to the driver's side of center. It doesn't even show that in my Haynes, and orielly's.com has no search results for it. Can Someone tell me what I broke so I can fix it? I have a 2000 Chevy Tracker 4WD 2.0 liter and about 160K. Can you take a picture of the broken part and post the picture in here? The system won't let me upload the photos, wrong format and too big of file size. I managed to upload them however at MySpace. Search for Personal info deleted and click on the Photostream link. The pictures are uploaded there. Sorry for the inconvenience. All you have to do is upload them to a hosting site like Photobucket and they will supply a link that will make them appear here. Do you have a lift kit or anything aftermarket on there because that part doesn't appear in the factory diagram. I can't find any pictures of it but it appears it has a lateral stabilizer bar and that may be the mounting bracket. All you have to do is bring that diagram to the dealer and they will be able to identify it as they will be the only ones that carry it any way. So far as I know it's a stock vehicle. I will take the diagram in and see what I can't find out. Ok, got an update. I called the Chevy dealership. 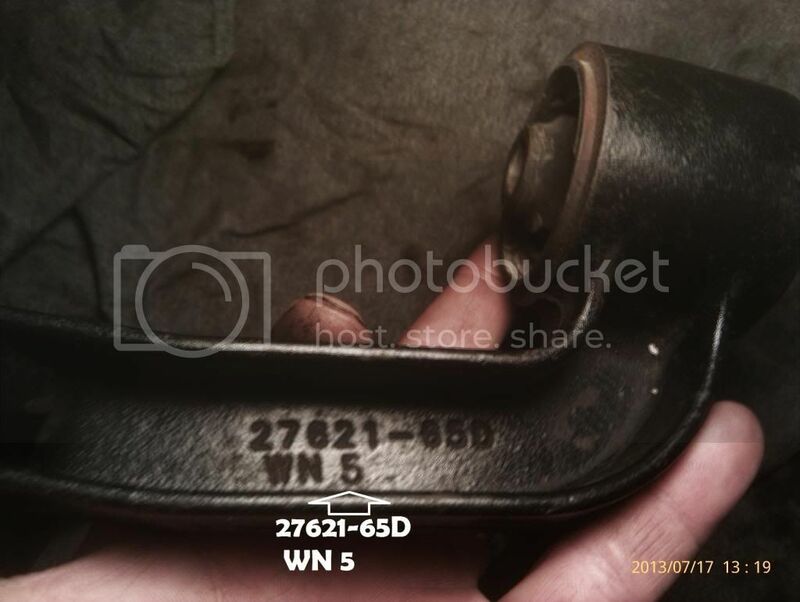 He said that it is a discontinued part called the "front differential carrier bracket", and he gave me a part number. It is the correct part so I suppose the problem has been solved and now you guys know as well. I will admit I did not get a replacement part just yet, it is fairly expensive as it is discontinued. However, for the time being I am having a machine shop weld it back together. that should hold until I can afford the replacement. Thank you for your help and I am thinking I'm sold on coming to CarJunky for all my automotive questions. If the part is discontinued, how many do you expect to be available when you get around to buying one? Well, what else can I do? Do you suppose they have some new part in lieu of it? No, I was just pointing out that waiting could cause you to be out of luck altogether. If there are any left laying around, they will likely be gone by then.